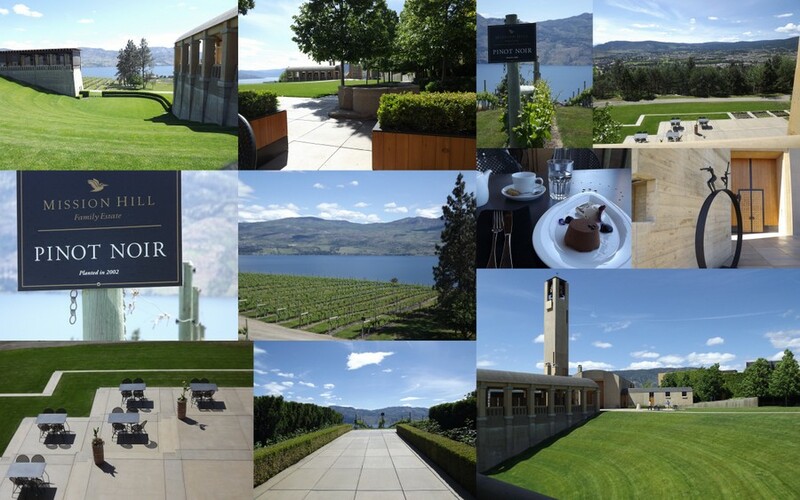 Here is another special place to visit if you are in Kelowna BC Canada…They do tours, wine tastings, concerts (if your timing is right) and a lovely lavender Earl Grey tea. They have expanded their wine store and gift shop and it is stunningly merchandized with themed tables holding very tempting coffee table books on such subjects as Venetian gardens, cherries that I had tried in their dessert menu (very smart marketing) and a host of other lovely things that would make great gifts. This was a treat to go today because it wasn’t crowded as it usually is when we have stopped by in the summer months. There were many travelers from very far away, so it was lovely for them that the weather was so perfect- not too hot and a light breeze. I also noticed how accessible it is with a walker.